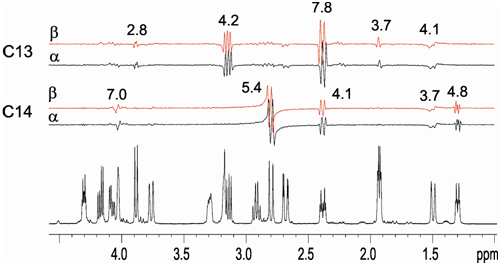 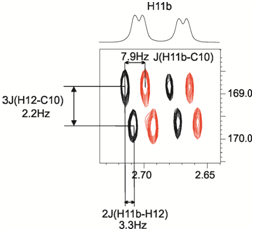 The effects of phase signal modulation due to homonuclear proton–proton coupling constants in HSQMBC-IPAP and HMBC-IPAP experiments are experimentally evaluated. 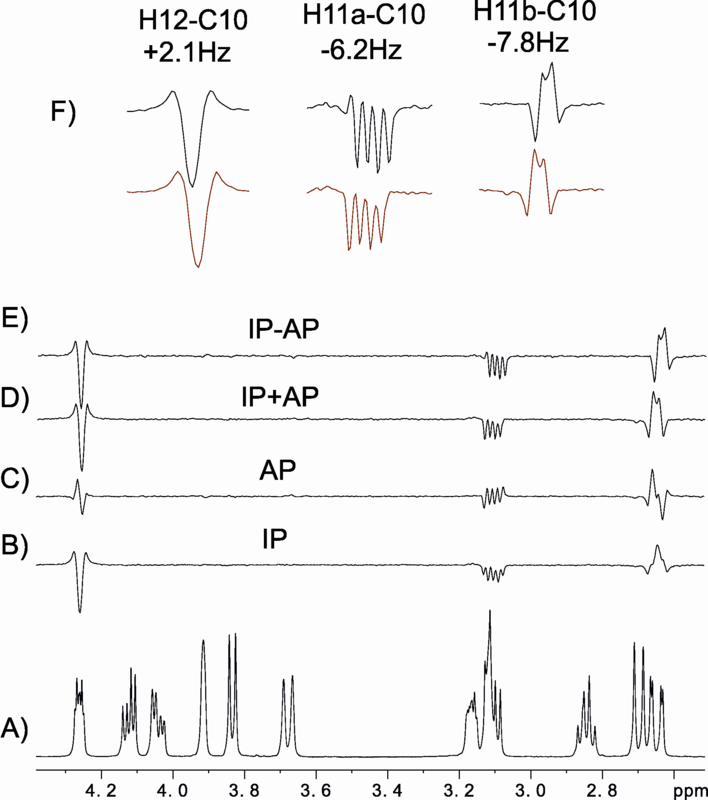 An assessment of the reliability ofnJCH measurement from distorted cross-peaks obtained in IPAP versions of HMBC and HSQMBC experiments is presented. 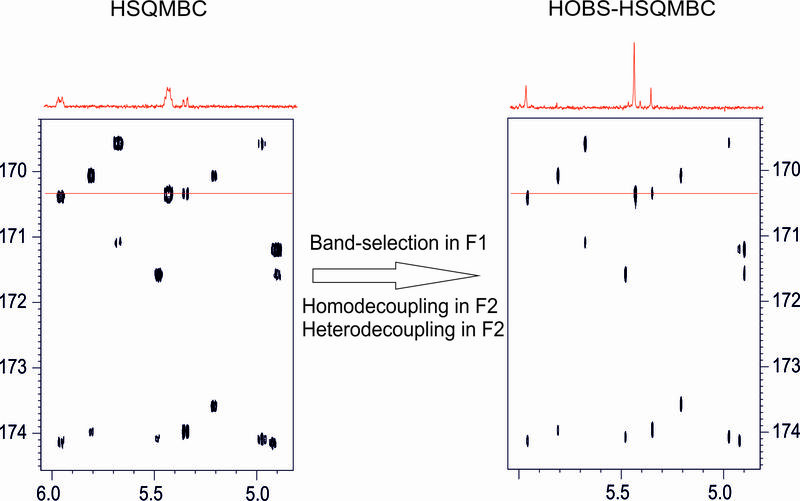 Finally, it is shown that HMBC-COSY experiments could be an excellent complement to HMBC for the measurement of small nJCH values.